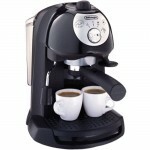 Click the button below to add the Delonghi ECAM23210B Magnifica S Espresso Machine to your wish list. 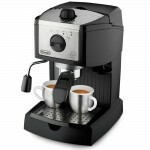 Thoughtfully built, the Delonghi Magnifica ECAM23210B S Super Automatic Espresso Machine offers powerful grinding, brewing and steaming capabilities in a space-efficient body. 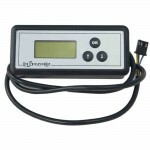 This streamlined machine is one of the smallest super-automatics on the market, measuring just 9.37”W x 16.93”D x 13.31”H and weighing a mere 20 pounds, it can fit in small spaces with ease. Where performance is concerned, the Delonghi Magnifica ECAM23210B S does not disappoint. 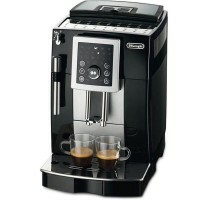 It is outfitted with a professional grade conical burr grinder, Delonghi’s Direct-to-Brew System and a removable brew group. 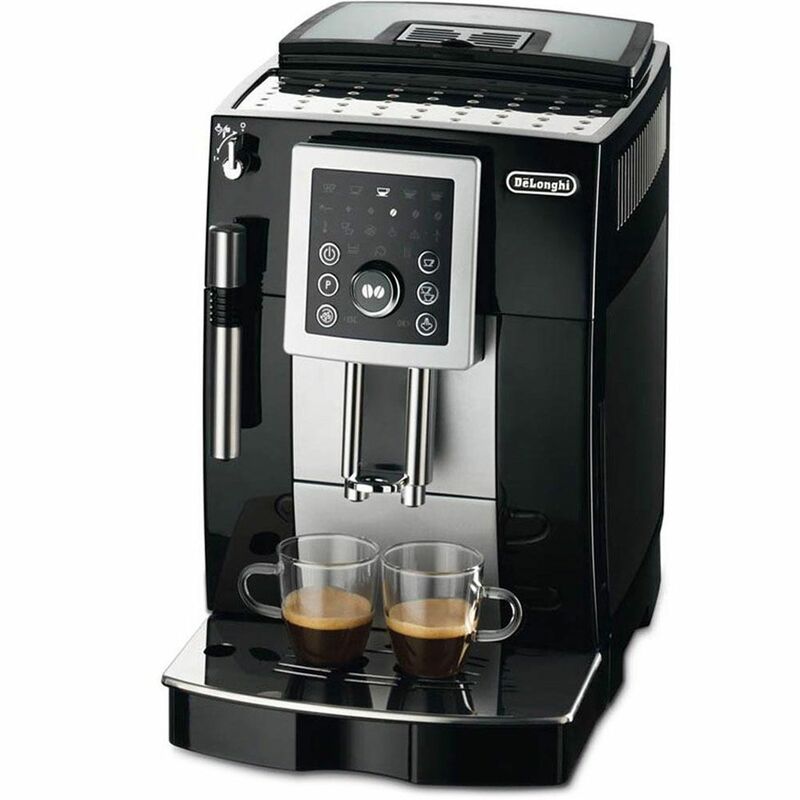 The Magnifica ECAM23210B S is a great choice for coffee and espresso lovers who do not wish to choose between space-saving and performance-driven machines. 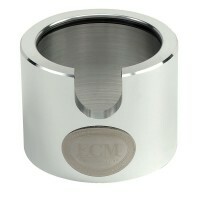 A redesigned professional quality conical burr grinder delivers consistent, uniform results. 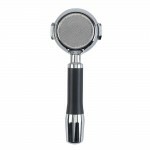 It has been created to reduce noise output and features 13 grind settings for your convenience. The hardened steel conical burrs work at a low rpm to minimize heat transfer and yield professional quality grounds. 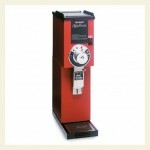 A 5.3-ounce bean hopper is also integrated into the machine. 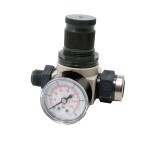 It has a rubber seal to promote flavor and aroma preservation. A tinted lid guards your beans from harmful UV rays. Prefer pre-ground coffee? 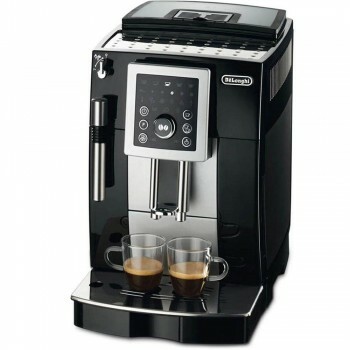 The Delonghi Magnifica ECAM23210B S has a bypass doser to let you experiment with different roasts and blends. Featuring a stainless steel lined thermoblock boiler, the Delonghi Magnifica ECAM23210B S minimizes warm-up time and makes hot water available on demand. 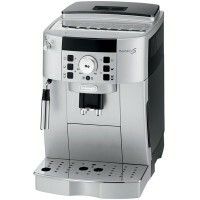 The Direct-to-Brew System grinds and feeds fresh coffee right into the variable brew group for fresh drinks. This machine will also let you program drink volumes to create custom beverages. 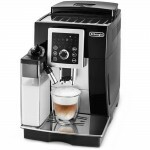 Once set, the Delonghi Magnifica ECAM23210B S will “remember” your preferences. 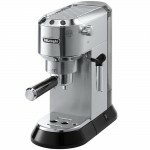 The Magnifica ECAM23210B S has a dedicated steam wand to let you create rich milk for cappuccinos and lattes. It will also let you dispense hot water on demand for a tea, hot cocoa or Americano. This super-automatic machine is fed by a removable 57-ounce water tank. The smartly designed Magnifica ECAM23210B S has adjustable dual height-adjustable coffee spouts to let you accommodate cups of varying heights. 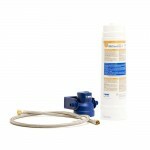 It is also equipped with a convenient decalcification indicator to let you know when it’s time to clean the machine. An energy saving switch and 3-hour automatic shut off feature lets the Magnifica ECAM23210B S use up to 77% less energy than comparable machines.